27 years ago, Elliot Johnston, a founder of Johnston Withers, was one of the Commissioners tasked with delivering a report into the intolerable number of indigenous deaths in prisons and police cells across Australia. Prompted by growing public dissidence, the Final Report of the Royal Commission in to Aboriginal Deaths in Custody found that Aboriginal people were not significantly more likely to die in custody than non-Aboriginal people, but that Aboriginal people were massively over represented in the criminal justice system. Most of the South Australian cases investigated by the Royal Commission had involved preventable death because of neglect or overt racism. As you might expect several the Royal Commission’s recommendations sought to address awareness within the criminal justice system and law enforcement of cultural and linguistic differences between indigenous and non-indigenous people. Recommendations relating to the training of police and correctional officers and the employment of Aboriginal liaison officers were also aimed at addressing the general treatment of indigenous people in custody, and these recommendations have by and large been implemented within the criminal justice system. However, most of the recommendations were aimed at addressing the socio-economic gulf between indigenous and non-indigenous people. In this sense, the Royal Commission’s 339 recommendations were an acknowledgement that social and economic forces are the primary factor behind the over representation of Aboriginal people in custody. 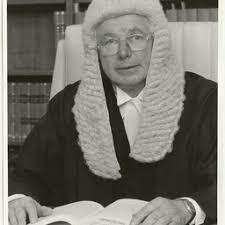 Whilst sensible measures such as the gradual decriminalisation of minor offences were acknowledged as being capable of reducing this over-representation, the critical finding of the Royal Commission was that “explanations for the number of Aboriginal deaths in custody are to be found in many aspects of Australia’s contemporary and past society”. It was hoped, that in addressing this core issue we may be able to slowly erode the over representation of Aboriginal people in custody. In this respect, we have badly failed. Indigenous Australians are amongst, if not the most incarcerated people on earth. Whilst indigenous people make up about 2% of our population, they account for more than 25% of our prison population. Further, the rates of indigenous incarceration are gradually rising and the number of deaths in custody does not appear to be falling. Social indicators also paint a picture of abject failure in closing the socio-economic gap. The gap between indigenous and non-indigenous people’s life expectancy, child mortality rate, educational outcomes, disease prevalence, suicide rates and unemployment rates paint a damning picture. Over the last 27 years, we have failed as a society to adequately implement the Royal Commission’s recommendations and by doing so have neglected some our most vulnerable people. As a firm we pride ourselves on our progressive, personal and professional approach to all areas of law.